(Radio Ergo) - Some of the most impoverished drought-displaced pastoralist families in Somaliland have moved in to 1,000 new iron-sheet houses built for them in various IDP camps. The worst off families who were first to start pouring in to the urban areas from rural parts of Burao, Ainabo, El-Afweyn and Odweyne two years ago were allocated the first batch of two-room houses. The housing project, run by the Refugee and IDP Commission and supported by the Norwegian Refugee Council (NRC), aims to provide housing for all IDPs facing hardship in the camps. Mohamed Farah Osman and his family of 10 moved into one of the houses in an IDP camp on the outskirts of Ainabo, where they lived for a year and a half. His family lost 200 goats in their village in Balidhig, 90 km west of Burao. Mohamed said the hut they were living in was so small and flimsy that some of children had to sleep outside. The wind blew through the stick-and-rags hut, which provided barely any shelter from any kind of weather. “I used to stay at home most of the time to watch over our property,” Mohamed said. The IDP camps suffer high rates of theft and other crime. Mohamed said he is now confident he can leave his family and travel to the city to find work on construction sites. Whilst they receive food aid from the World Food Programme (WFP), he want to be independent of food handouts. Osman Adan, a father of six, said he has enjoyed much better sleep in his new iron-sheet house, which they moved in to three weeks ago in an IDP camp in Odweyne, Togdheer region. They had suffered two years of living in a flimsy hut. He lost 250 goats and 30 camels in the drought after three years of failed rains, 40 km north of Odweyne. He receives food aid from WFP just like other IDPs in the area. These 1,000 or so families are a fraction of the more than 15,000 IDP families in Somaliland, who fled to the urban areas in the last few years of drought. 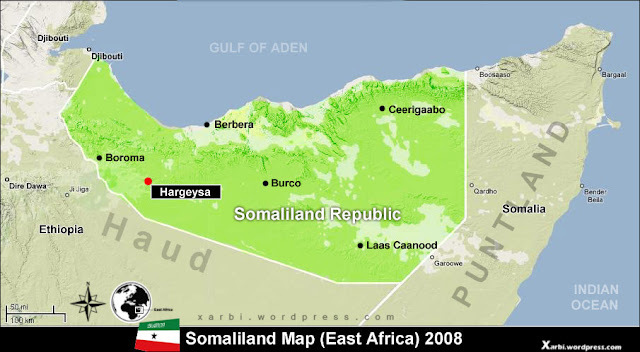 The director of the Refugee and IDP Commission in Somaliland, Mohamud Mohamed Ali, said they are planning to provide housing for all displaced families facing hardship. The second phase of this housing project will construct another 3,000 houses.